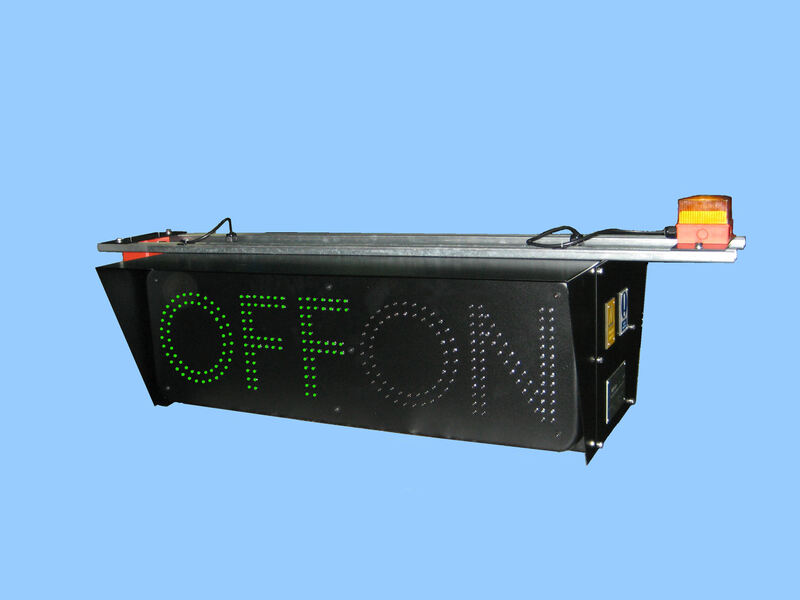 The Cleaning Road Overhead Status Indicator is a roof mounted unit that displays the electrical status of the roads fitted with ground mounted conductor rails. It is controlled by the associated Cleaning Road Contactor. The control circuit is easily accessible at the end of the unit. The unit is controlled by a high integrity circuit that is built into the Cleaning Road Contactor Panel. An Audible Alarm and Flashing Beacon are activated as a warning prior to traction current being switched on. They sound and flash for approximately 8 seconds. Supply ‘OFF’ is illuminated with green LEDs. Supply ‘ON’ is illuminated with red LEDs. Hangs from the roof on Unistrut ™ or an equivalent framework.